Psychological or psychoeducational assessments are a process in which a graduate clinician collects information about your (your child's) strengths and weaknesses, using a variety of different methods and sources. These assessments vary depending on the reason for referral. Some people want an assessment to determine whether they have a learning disability, ADHD, or another issue affecting their school or work performance, and assessment can help them to determine if they may be eligible for accommodations. Other people may want an assessment of their personality and coping style, as that information will assist them in better understanding themselves and/or in treatment planning with their clinicians. Still other people may be interested in understanding why they are experiencing difficulties associated with an accident (e.g., traumatic brain injury), memory loss, or other neuropsychological difficulties. 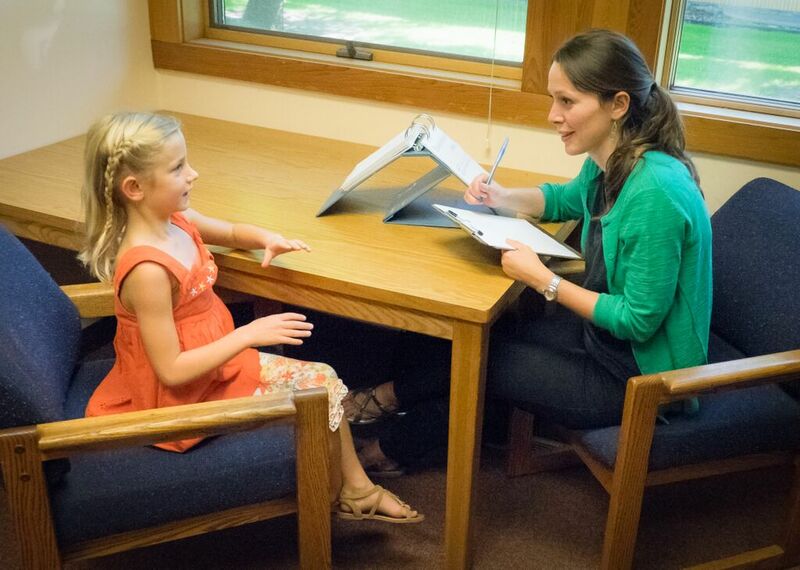 If you (your child) are coming to the CPC for a psychological assessment or evaluation, you (your child) will be asked to attend an intake appointment. During the intake interview, the clinician asks about your (your child’s) reasons for seeking an evaluation, describes the assessment process, and answers any questions that you (your child) have. If you choose to continue, the clinician will then gather background information about you or your child (e.g., developmental, educational, clinical, and life history). After the intake interview, the clinician will meet with you (your child) across a set of sessions to administer tests or questionnaires. The selected tests are widely used by psychologists and have been shown to be reliable and valid. Depending on the purpose of the evaluation, the tests may assess cognitive abilities, academic achievement, memory, attention, emotional well-being, or personality. The number of tests and the length of the evaluation will depend on the reason for referral. Finally, the clinician will examine all of the data gathered and write a comprehensive report which integrates information from all sources. This report will be yours to keep and will summarize the results of the assessment. The cost of the intake appointment is $7.00. If you (your child) decide to pursue the evaluation, you will pay a $50.00 deposit at the end of your initial appointment, with the balance of the fee due when the final report is ready and the clinician shares his or her findings. The total cost of the evaluation will range from $200-$400, depending on how many instruments are necessary to use in order to address the presenting concern(s)/referral question(s). It is important to note that if a psychological assessment or evaluation is conducted and a diagnosis is provided, there is still not a guarantee that you (your child) will be eligible to receive accommodations or services. A report is provided to you to keep, and it is the external agency (e.g., Disability Services for Students, Montana Disability Determination Services, the school district multidisciplinary IEP team) that determines whether you (your child) is eligible for disability or accommodations.